Oasis began as Oasis Special School in 1952, providing education for learners with intellectual disability who were excluded from mainstream schooling. As the children grew older, there was the challenge of where they would be able to work, with many failed attempts to place them into the formal job market. In response, we opened the Oasis Protective Workshop, a supportive environment where the children could transition from school into a job. 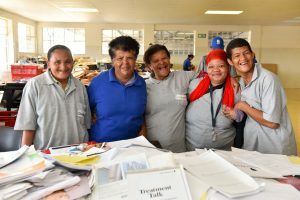 Over the years, other projects and services for people with Intellectual disability have been added, and today Oasis is one of the largest and most impactful organisations of its kind, not just in the Western Cape but nationally. (C) Copyright 2017 Oasis Association. Created by LIFE brand.